Fully automatic, one-button operation is easy to use for at-home monitoring. 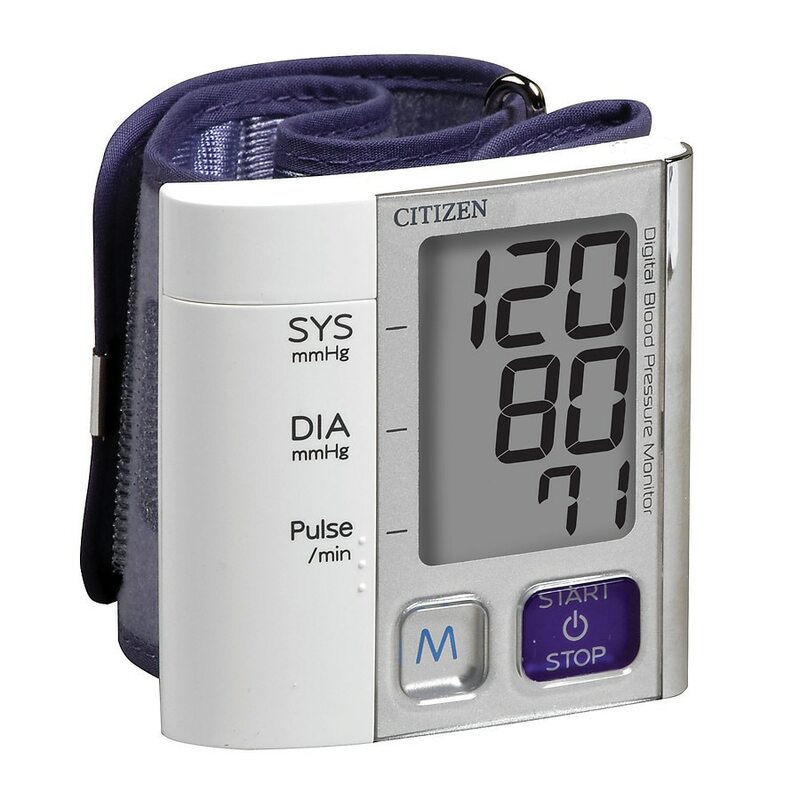 Displays systolic, diastolic and pulse readings simultaneously on a clear LCD display. Memory bank stores up to 90 readings, with average of last three readings. Compact design ¿ Monitor is less than 5/8¿ thick and weighs less than 4oz. Body movement indicator alerts user to excessive movement during measurement. Includes: monitor with attached wrist cuff, storage case, 2 AAA batteries, detailed English/Spanish guidebook, quick start guide and blood pressure reading log. Comfortable yet secure cuff fits wrist circumference: 5-3/8" - 8-3/8".